‘Josie Josie’ finds Anton Goosen in a more sombre mood. The song starts out with a slightly menacingly strum guitar, but the sting of this is quickly flattened by a melancholy flute playing over the top of it, and then Anton’s vocals come in. The song then builds with a chorus joining Anton on the vocals and the flute weaves itself around this chant like sound. There is a stuttering, stumbling feel to the song, like it is lurching forward into uncertain territory, trying to be brave by stomping along, yet one can sense the lack of confidence in it. So one turns to the lyrics for clues to what is going on. ‘Josie Joise don’t let it rain on your dream tonight/Josie Josie we’ve seen it through now our days are bright’ is the repeated refrain that Goosen and the chorus sing and then you realise, Josie is perhaps not a woman, but could be Johannesburg (‘Jozi’). The song then makes sense in that it is almost a prayer for the new South Africa as it stumbles from Apartheid into democracy. There has been lot sung about the country and in particular its transformation from the bad old days, but few have done this with such beauty. It’s not a ‘New York New York’ for Johannesburg, it is a heartfelt request. 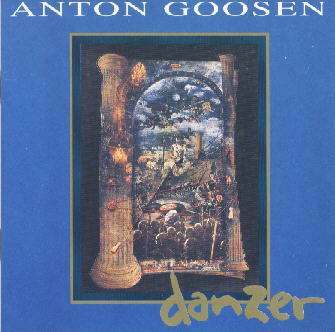 You could be forgiven for thinking you had accidently put on a Bob Marley CD when you hear the start of Anton Goosen’s ‘Danser’ as it is pure reggae with those short sharp organ bursts peppering a skip-jump bass and that chaka-chaka sound that the reggae bands love. 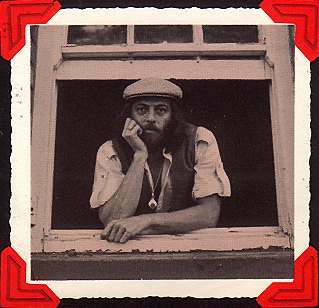 But then he throws in some sax and pennywhistle and of course his growly laid back vocals and this, along with the fact that he is singing in Afrikaans, tells you it’s not Bob, but Anton. He also then throws a spanner in the works by having a little interlude that sounds almost like sakkie-sakkie just to mix things up. But at no time during the just under 3 minutes of this song can you stop dancing. And that is how it should be. A song entitled ‘Danser’ should not be a drige or some strange experimental jazz, that would be false advertising. To top it all and be a bit contrary (it wouldn’t be Anton if he wasn’t) he goes and records the song again with English lyrics. This time round it sounds as if he was doing a vocal stint for Mango Groove as the song sounds a little like their ‘Love Is The Hardest Part’. He does, however, steer clear of any trouble with the Advertising Standards people as if you see the song spelt ‘Dancer’ it’s in English and ‘Danser’ is in Afrikaans. The English version can be found on the album entitled ‘Danzer’ (yet another spelling just to ensure we remain confused – go Anton) or the ‘Grootste Treffers’ album, while the Afrikaans version can be found on ‘33 Sea-Sides (Om Te Rock ‘n’ Roll)’. ‘Pampoene!’ Lise Swart yells at the start of the song, just to make sure you know what it’s about and to grab your attention. For those of you who don’t know, ‘pampoene’ are pumpkins and the tradition in rural South Africa is to put pumpkins on the roof to ripen in the sun. Anton Goosen uses this image to create a classic song. However, there is a huge tongue in Goosen’s cheek (how often isn’t there one?). He is having a go at the ‘poppies’, those fashion conscious girls who walk around in Gucci and Calvin Klein, pretending to be smart city slickers, but back home, they are just farm girls who live in houses with pampoene oppie dak. The song is done in a hoe-down style and is jam packed with feel good faction. 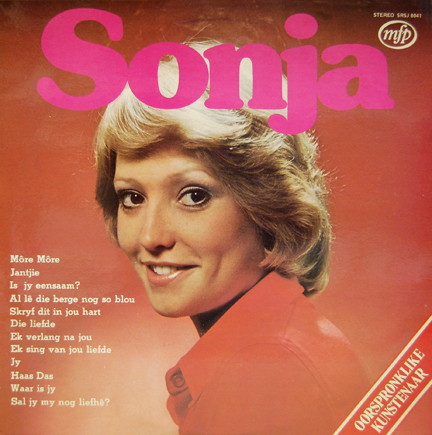 From the bouncy, toe-tapping fiddle to the hilarious lyrics, this song was bound to go down in Afrikaans music folklore. It has been covered by Jakkie Louw and features in a number of medleys (Theuns Jordaan, Beeskraal) and will probably crop up many more times in the future. Is jy ook so lief vir my? Daar’s ‘n deel van jou wat vry wil bly. Ma’ die anner deel van jou wil net die heeltyd vry. Waar kry jy jou luck vandaan? Always oopoog op die stoep gestaan. Dis ‘n skande dat niks ooit, ook verander nie. Calvin Klein en Gucchi op die gatsak. Maar … Pampoene op die dak. As jou geblomde rokkie wip. Kan jy my hart ma’ op jou hande dra. Al gooi jou pa met klip. Al sou jou antie met ‘n kierie slaan. Al skree jou oompie op jou ma. Bekkie, bokkie, baby en ek. Daar’s paddas in die dam. Doring in die hart moet mens uitgetrek kry – en dan … net tjoepstil bly. Blou water lê agter my. Die blou berge lê voorkant my. Ek wonder of jy weet hoe vreet die liefde binne my? Hoe kan ek, as my hart so skree net tjoepstil bly? 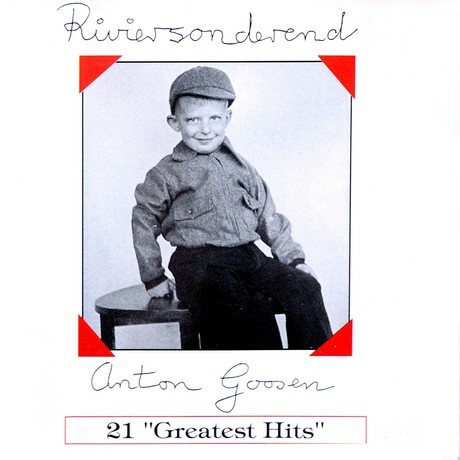 Anton Goosen is another of those anomalies on South African music, especially amongst the Afrikaans singers. In a similar vein to David Kramer, he could write those almost trite songs that have us overdosing on saccharine. And then he could also pen some fiercely political songs that it’s surprising he wasn’t locked up. ‘Blommetjie’ doesn’t fall into either category, it’s neither trite nor political. What is important about it is that it is widely regarded as the first Afrikaans rock song and from the first guitar chords you know that it certainly a rock song that you’re listening to. 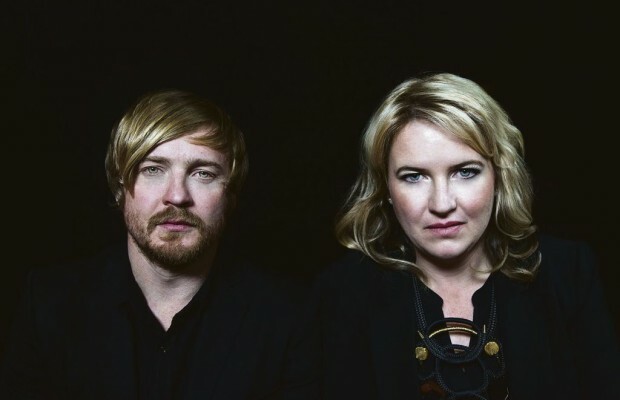 The song is about a hitch hiking ghost, haunting the roads of the Klein Karoo around Uniondale and is based on a true story of a woman killed in a car accident in 1968. There have been numerous claims of having seen the ghost of this woman hitchhiking along the road outside Uniondale. However, Anton’s song rocks too much to be spooky.